If you already read our articles about Technical or Fundamental analysis then you have probably noticed us mentioning economical indicators and their importance (or sometimes lack of importance) to your forex trading. Economical indicators are a range of financial data bits and statistics that are published by various governmental and private financial bodies. Economic indicators are created in order to aid financial markets observers to track the changes and progressions in the world economy. Because of this, economical indicators are a very powerful factor in the world economy. They have the power to change currency prices and create massive volume in different markets. Having an economics degree might be helpful when diving into the depths of economic indicators and interpreting their meaning, but it is definitely not necessary to improving your forex trading. 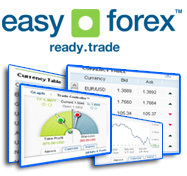 There are several basic and easy to follow guidelines that are bound to improve your forex trading. First of all and most importantly you need to be on top of the economic indicators schedule. Keep a calendar with the release date of every economic indicator that is relevant to you. It is to find the publishing dates and many of the indicators themselves at the world bank or the Federal Reserve Bank of New York. Keeping track of your calendar will help you understand currency shifts much better. Keep in mind that economic indicators can affect the market both directly and indirectly. A direct affect will be the traders response to the data represented in the latest indicator released. An indirect affect can be price fluctuations that occur in proximity to the release dates. Most forex traders will anticipate the affect the indicators will have on the market and will try to get a better position ahead of their release. In next articles we will review some more advanced concepts of economic indicators and their affect on the forex market.